What would each of us not give to be able to be in the presence of Baba and to speak to him? To have him speak to us? When one enters into this book deeply, that is exactly what is happening. You are with Baba. This book is alive. His consciousness is in the words. And when you approach the book with stillness you’re not approaching the book through mental activity, rather you’re letting your entire body energetically absorb the life force of his words and the life force of consciousness. 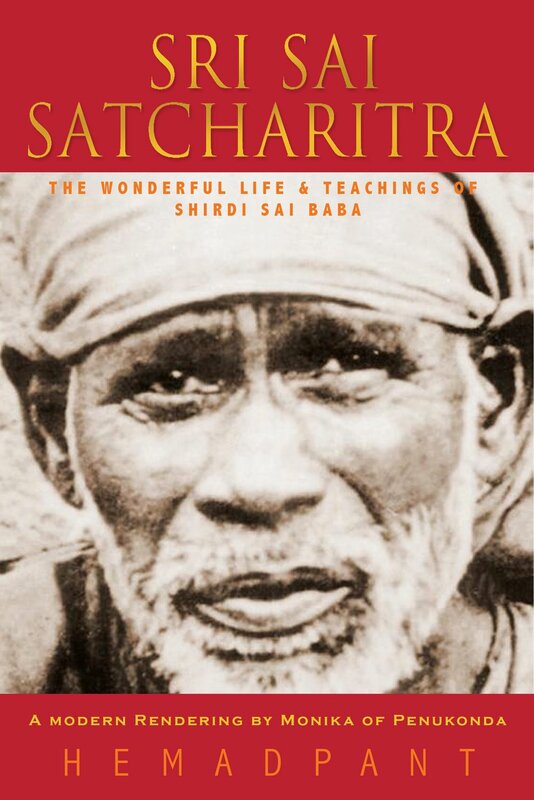 The modern rendering of the Sai Satcharitra by Monika of Penukonda is now available on Amazon and Kindle! The original Sri Sai Satcharitra was a long text written in Marathi by Sri Hemadpant. This new rendering has been adapted from the shortened English version which was translated by Sri Nagash Vasudev Gunaji. This modern rendering by Monika (of Penukonda) is intended to make this immortal classic more accessible to the modern reader. A free .pdf version of the book is also available to download.